Ian, who is convener of Luss Community Council and currently engaged in a battle over a village parking plan, said that the slates were taken by scow to Balloch, then used on buildings in the Vale of Leven, Glasgow, Stirling, Greenock and Edinburgh. Many tenements in Glasgow still have slate stones on the roofs that were collected from Luss. The quarry workers— most of whom came from the two biggest quarries in Ballachulish and Easdale — lived in thatched cottages built for the Laird around the village as timber was in short supply. Most of the quarries were in the Camstradden Estate, rather than the Luss Estate, and were in operation as far back as 1439. However in 1748 the Laird of Luss took over Camstradden as a result of legal proceedings. The last quarry to be operated, Auchengaven, closed in 1955, and the areas they occupied are now covered and largely obscured by vegetation. 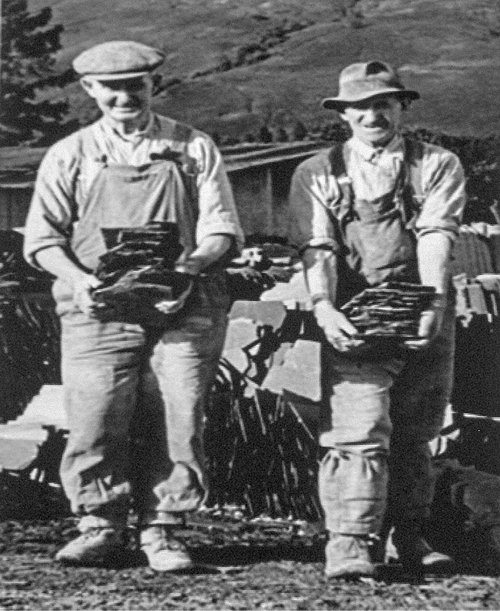 The blue, purple or grey Luss slates were in demand because they were thinner and lighter, and as they did not have to be carried over open sea they were not subject to tax, which made them cheaper. Mounds of old slates can be seen on a walk along the Quarry Path, starting from the car park at the Luss Tourist Information Centre. The stacks were mainly the stones workers had thrown away. 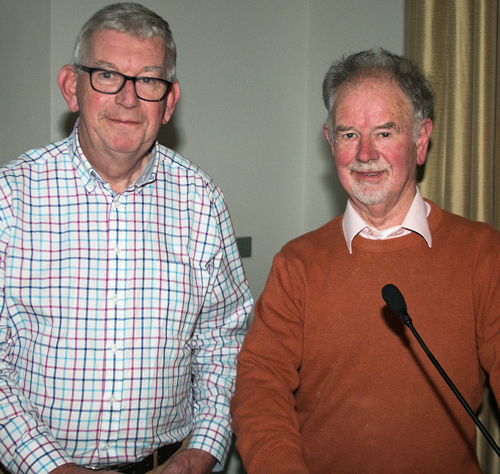 Mr MacEachern was introduced by Trust chairman David Clark, who also proposed the vote of thanks. 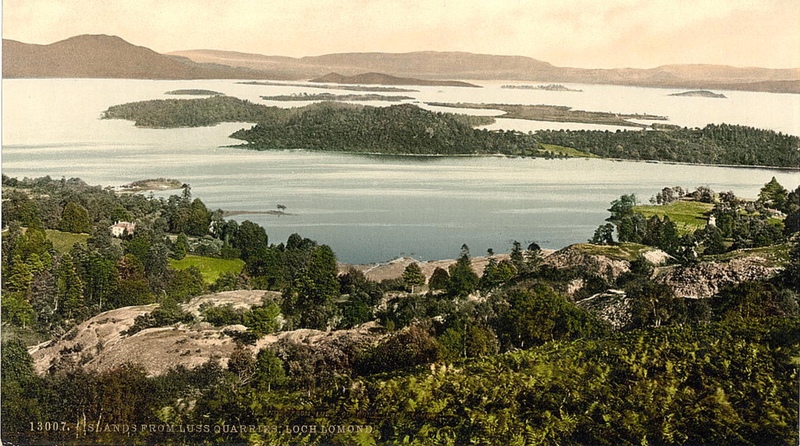 The other pictures show quarriers Hugh and Sandy with the last slates cut at Auchengaven in 1955, and an 1890s postcard of the view over Loch Lomond from above the quarries.